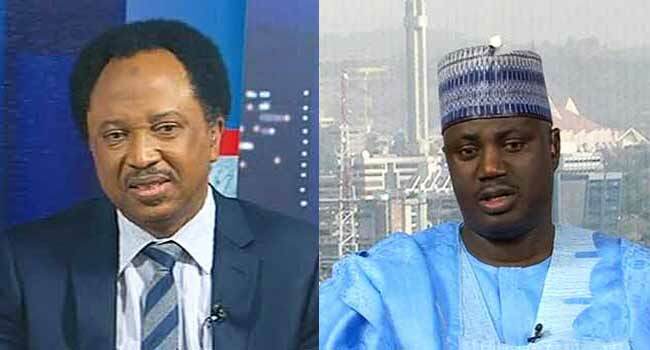 Senate spokesman, Senator Aliyu Abdullahi, says the statements made by Senator Shehu Sani, on the salaries and funds for the running of offices of Senators is nothing new. In a statement on Sunday, Abdullahi said the figure given out by Sani about the running cost of the offices of Senators are contained in various line items and expenditure heads of the budget of the National Assembly which has been made public. He maintained that if people had looked critically at the budget of the National Assembly which has since been made public, they would have seen that various line items like travelling, medicals, consultancy and the rest were captured in the budget and they were the funds divided for each Senator’s use. Senator Sani in an interview with a magazine recently revealed that Senators receive N13.5 million monthly as running cost and this does not include a N700,000 monthly consolidated salary and allowance which they also receive. He further explained in the interview that though there is no specification on what the funds were meant for, each lawmaker is mandated to provide receipts to back up their expenses. Meanwhile, a Senior Advocate of Nigeria Mr Femi Falana has praised Sani for the disclosure. He also noted that the revelation has serious implications for public accountability in the country, describing the figures revealed as “jumbo emoluments” of the senators. Furthermore, he condemned the purported moves to place Senator Sani on indefinite suspension for spilling the beans and therefore, called on Nigerians to support the lawmaker and ensure he is not harassed for exercising his fundamental right to freedom of expression. Read Falana’s Full Statement here.